The Russian space agency Roscosmos said the Progress spacecraft moored at the station Thursday in automatic mode, bringing 2.7 metric tons (3 tons) of food, fuel and instruments. 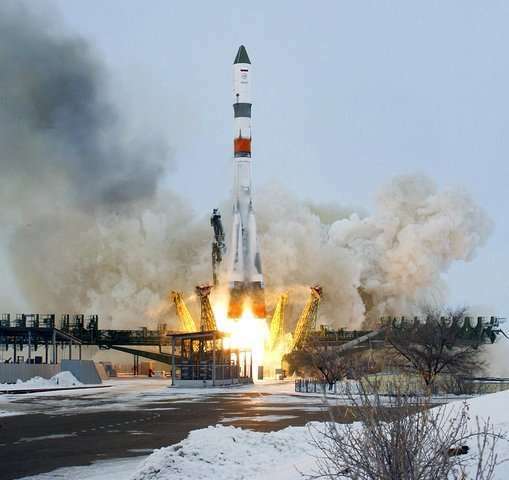 It was launched Tuesday from the Russian space complex in Baikonur, Kazakhstan. The launch initially set for Sunday was postponed at the very last minute due to an unspecified glitch. And instead of the original plan to test a new regime for docking less than four hours after launch, it performed a standard two-day approach maneuver. There are six astronauts aboard the space station—three Americans, two Russians and one from Japan.